The importance of the Jews in the development of Castelo Branco is undeniable. The arrival of the Jews after they were expelled from Castile in 1492 increased the population by almost 60%. The Jewish quarter of Castelo Branco was located between Rua D’Ega and the northern section of the city walls. Its main axis were Rua D’Ega and the northern section, which nowadays is Misericórdia Street from the intersection to that street. It is obvious that the synagogue existed. Still without any archaeological confirmation, it was probably located in the current no. 10 of Misericórdia Street. In the historic centre, where the Jewish quarter was located, we can still find several symbolical Jewish traces, among them, a Menorah (damaged with an overlapping cruciform figure) and a Mezuzah. 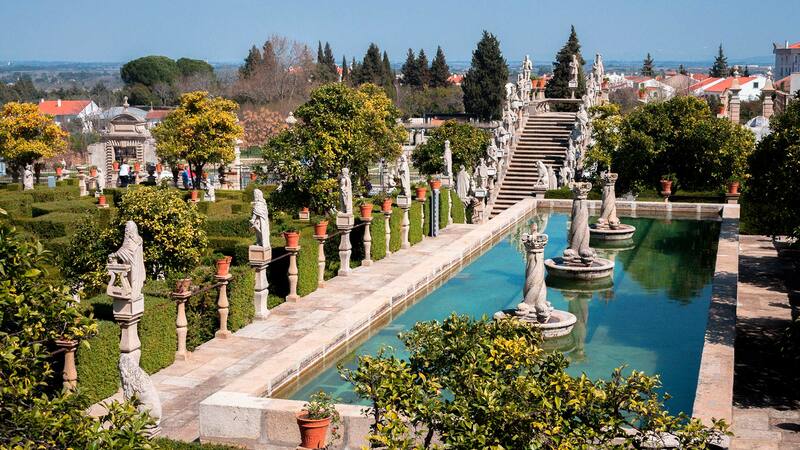 Castelo Branco was the birthplace of remarkable figures in Portugal's history. Here, Afonso de Paiva was born (c. 1443-c. 1490), a Jewish explorer appointed by D. João II, together with Pêro da Covilhã, to explore the Middle East and seek information on the Sea Route to India. Some of the leading figures in the history of international medicine, the Jews Amato Lusitano (1511-1568) and Elias Montalto (1567-1616), were also born here. In the city centre, next to the garden of medicinal plants of Amato Lusitano, a bronze statue was erected in 1956 to the memory of this great doctor in front of the City Hall. 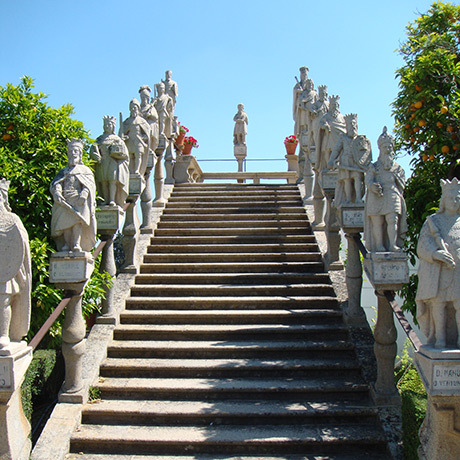 The influence of Judaism in this city was such that, the statue of Cardinal-King Henry I was built in the Pombaline period on the south side of the bishops’ garden in Paço Episcopal. The Inquisitor General of the Kingdom’s size is insignificant just like the others kings Filipes. As for the statue of Moses, the water passes through his feet, the source of life symbol that irrigates the whole garden, and symbolically, the most prominent figure. During the 16th, 17th and 18th centuries, 400 Inquisition cases were lifted from within the walls of the village, due to denunciation of Judaism, foreigners or people who lived in Castelo Branco, resulting in 14 deaths. 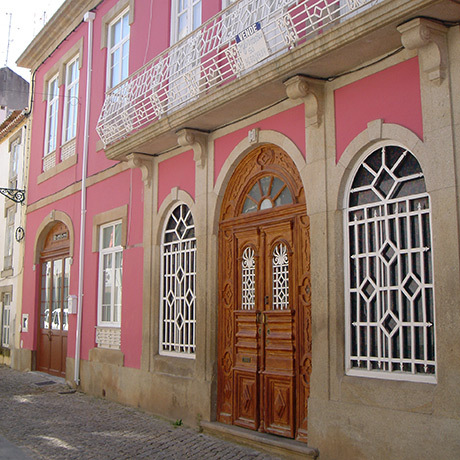 The Jewish Presence Memorial House in Castelo Branco allows the visitor to better understand the past of this city.